(Lake County, IL) On September 15, 2018 at 2:06 a.m., an officer with the Vernon Hills Police Department was involved in a shooting within the town of Vernon Hills. After the incident, a request was made for the Lake County Major Crimes Task Force (LCMCTF) to assume this investigation. The LCMCTF deployed a team of investigators to undertake that responsibility. The Lake County State’s Attorney’s Office has reviewed all of this information and the applicable laws regarding a police officer’s use of deadly force. This informational release will outline the evidence in this case so that our Lake County Community is fully apprised of what occurred in the early morning hours of September 15, 2018. Officer Tadd Spencer is a police officer with the Vernon Hills Police Department. He has been with that department for 22 years. He is a patrol officer and works the 6:00 p.m. – 6:00 a.m. shift. On September 15, 2018, Officer Spencer worked his regular shift and reported to roll call at 5:30 p.m. He was dressed in his patrol uniform. His uniform included his department insignia, his department badge, and his name embroidered on the outside material. Officer Spencer wore a standard duty belt equipped with a 9mm Glock Model 17. Officer Spencer was assigned to Vernon Hills Police Department Squad 115. That vehicle, a Ford Explorer, has police-identifying markings visible from all sides of the vehicle. That vehicle is also equipped with police lights and siren. Vernon Hills squads are not equipped with squad cameras and its officers are not equipped with body worn cameras. Officer Spencer was on patrol when he received a radio dispatch to assist a citizen at 120 Marimac Lane in Vernon Hills. The citizen was identified as Randy J. Rausch. Mr. Rausch stated that he needed assistance to retrieve his belongings from the house. Mr. Rausch indicated that he would be waiting in the garage of the residence. Officer Spencer was familiar with Mr. Rausch and had been to his home on previous occasions. The Vernon Hills Police Department would, at times, aid Mr. Rausch in getting his personal items out of his house. Occasionally, Mr. Rausch’s girlfriend would lock him out of the house or prevent him from accessing his belongings. Additionally, Officer Spencer was aware of occasions where Mr. Rausch had taken steps to harm himself. In one instance, Mr. Rausch had reportedly attempted suicide by putting a belt around his neck. On another occasion, Officer Spencer found Mr. Rausch on some railroad tracks expressing suicidal thoughts. In both instances, Mr. Rausch was taken to the hospital for a psychological evaluation and an involuntary commitment. Officer Spencer states that he had never seen Mr. Rausch with a gun and had never known him to be combative with the police. When Officer Spencer proceeded to the Rausch home on the early morning hours of September 15, 2018, he assumed this would be a routine call to help Mr. Rausch gather his belongings at the residence. At approximately 2:00 a.m., Officer Spencer arrived on location and parked his vehicle. The overhead garage door was shut. Officer Spencer walked to the side entrance of the garage. That door was slightly ajar. Officer Spencer gently pushed on the door and simultaneously said “hello.” As the door opened, the garage was well lit. Mr Rausch was sitting on a folding chair in the middle of the garage. He had a rifle on his lap. Mr. Rausch had his right hand on the rifle, the stock of the gun was resting on his thigh, and the barrel of the rifle was pointed at the ceiling. The weapon appeared to be a high-powered rifle. It was black in color. It appeared to be made out of metal and had a silencer on the end of the barrel. Officer Spencer drew his own firearm and stated, over the radio, “man with a gun.” Officer Spencer ordered Mr. Rausch to “drop the gun” multiple times. Mr Rausch was given time to comply, yet he continued to manipulate the rifle. Officer Spencer repeated his command again in a loud clear voice. Mr. Rausch responded to Officer Spencer: “What are you going to do?” Officer Spencer observed Mr. Rausch move his left hand back and forth on the gun by, at first, placing it on the gun and then taking it off the gun. Officer Spencer continued to give concise commands to Mr. Rausch to “drop the gun.” Rausch continued to respond, “What are you going to do?” During this entire exchange, Officer Spencer had his own gun drawn and in his hand. Officer Spencer remained in the center of the doorway to the garage while never stepping inside of the garage. Officer Spencer said he repeated his commands approximately ten times during this confrontation. Mr. Rausch never showed any signs of compliance. Rausch moved his right hand back and forth on his weapon and appeared very angry. At one point, Mr. Rausch placed both of his hands on the rifle and, with a two-handed grip, lowered the barrel of the rifle toward Officer Spencer. Officer Spencer was only 20-25 feet away from Mr. Rausch. Officer Spencer believed that Rausch was going to shoot and kill Officer Spencer. Officer Spencer could not leave the scene or retreat because he knew rounds from a high-powered rifle could penetrate through the garage walls and into the neighbors’ homes. Officer Spencer believed that his life and others’ lives were in mortal danger. Based on the circumstances, Officer Spencer believed that lethal force was the only recourse available to prevent the loss of innocent lives. Officer Spencer aimed and fired nine shots until Mr. Rausch dropped the rifle. Officer Spencer then put in a radio call to the dispatcher and advised that shots had been fired and that an ambulance was required. Evidence technicians from the LCMCTF recovered Mr. Rausch’s rifle from the floor of the garage. The weapon was a black in color Crosman F4 Nitro Piston Air Rifle .177 mm with a scope. The model number was 3CF4NP17S. Sgt. Dan Hill is a 19-year veteran with the Vernon Hills Police Department. On the date of this incident, Sgt. Hill was the watch commander for the shift from 6:00 p.m. on September 14, 2018 until 6:00 a.m. on September 15, 2018. Sgt. Hill states that he monitored a radio dispatch for a citizen assist at 120 Marimac Lane in Vernon Hills. Sgt. Hill states that he was familiar with that address due to a long history of domestic-related incidents requiring police intervention. Sgt. Hill arrived on scene. Officer Spencer was standing outside of the garage. Sgt. Hill looked into the garage and saw Mr. Rausch slumped in a chair. There was a rifle at his feet. Paramedics then arrived at the scene to provide aid to Mr. Rausch. Sgt. Hill directed Officer Mead to take Officer Spencer to Condell Medical Hospital for observation. Sgt. Hill directed Officer Mead to take photographs of Officer Spencer and to secure Officer Spencer’s firearm for the Lake County Major Crimes Task Force. An autopsy was performed on the body of Randy Rausch on September 17, 2018. The examination showed that Randy Rausch died from multiple gunshot wounds to the upper body. Based upon the facts gathered in this investigation and a review of the applicable Illinois Statutes, Officer Spencer acted reasonably and appropriately. Officer Spencer was on duty, in uniform, and driving a marked Vernon Hills Police Department squad. While on patrol, Officer Spencer received a dispatch regarding a citizen in need of assistance. Officer Spencer was familiar with the residence and with one of its tenants, Randy Rausch. Officer Spencer had been to that location for a variety of reasons including domestic relations, accessing personal belongings, and suicide-related issues. Officer Spencer assumed he would be aiding Mr. Rausch and that the interaction would be non-confrontational. Officer Spencer saw Mr. Rausch sitting in a chair with a rifle in this his lap. The weapon appeared to be a high-powered rifle. It was black in color. It appeared to be made of metal and had some type of silencer on the end. The gun appeared real and functional. Officer Spencer did not see any markings on the weapon to suggest that it was not a real weapon. Officer Spencer radioed “man with a gun.” At this point, Officer Spencer attempted to alleviate the threat and to avoid any possible confrontation. He told Mr. Rausch to “drop the gun.” Officer Spencer stated this multiple times in a loud clear voice. Officer Spencer wanted to ensure that Mr. Rausch clearly understood what was being asked of him. At this point, Mr. Rausch placed both of his hands on the rifle. Then, with a two-handed grip, Mr. Rausch lowered the barrel of the rifle toward Officer Spencer. Believing his life to be in danger, Officer Spencer shot his service weapon at Mr. Rausch and immediately stopped once Mr. Rausch had dropped the weapon. Officer Spencer then immediately radioed that shots had been fired and requested an ambulance for Mr. Rausch. A post-mortem toxicology analysis of Mr. Rausch revealed that his blood alcohol concentration was almost three times Illinois’ legal limit for intoxication. In addition, there were numerous narcotics in his system. During this entire interaction, Officer Spencer acted firmly, professionally, and took every step possible to avoid a confrontation. Officer Spencer was aware of the power and firing capabilities of a high-powered rifle. He was aware of the devastation that could be brought not only to Officer Spencer but to the citizens in this residential neighborhood. Because of that, retreat was not an option. Mr. Rausch’s acts and words clearly created the impression that he was going to utilize that rifle. Officer Spencer, believing that lives were in imminent danger, acted reasonably in eliminating that threat. In accordance with the policy of my office with respect to officer involved shootings involving death, I am making the case file open and available to the public. Transparency is essential to promoting public trust. Please note that due to ethical, legal and privacy issues, not all of the case file can be made public and some of the reports that have been made public have been redacted. This file will be available in the coming weeks on the State’s Attorney website to anyone who wishes to review the material. Again, this event illustrates how a seemingly innocent police task can suddenly become a deadly confrontation. I would like to express my condolences to the family of Randy Rausch. 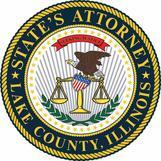 I would also like to acknowledge the Lake County Major Crimes Task Force for its expertise, dedication, and thoroughness. I would like to commend the professionalism exhibited by Officer Tadd Spencer during these trying circumstances. And lastly, my thanks to the Citizens of Vernon Hills for their patience and cooperation in this matter.